This is the final article in a three part series looking at the history of the ghost town of Atsion. You can find part one of the series at this link, and part two at this link. In 1862, the future looked bleak for Atsion. Competition from iron furnaces in Pennsylvania, fueled by cheaper and more efficient anthracite coal, meant that furnace towns like Atsion were no longer able to compete. Fleming’s paper mill, the next industrial venture for the town, never got off the ground – the building having been long abandoned by the time Colonel William Patterson purchased the Atsion tract. Patterson envisioned the rebirth of Atsion based around agriculture rather than industry. He planned to clear several large tracts of land to grow crops and bring them to market in New York and Philadelphia via the newly constructed Raritan & Delaware Bay Railroad. 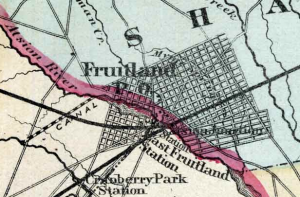 He renamed the town “Fruitland” and, according to the F.W. Beers map of 1870, planned to lay out the streets in his new town in a grid pattern. The main crop was to be sugar beets, however the experiment ended in failure when the beets would not grow in the sandy, acidic soil. The real estate venture was also a flop – Patterson sold less than a handful of lots across the lake along Atsion Road. Like so many of the town’s previous owners, he overextended his finances and was forced into bankruptcy. On May 10, 1871 Maurice Raleigh purchased the town. One of his first orders of business was to rename the town back to Atsion. He then rebuilt and enlarged the paper mill building – long abandoned and empty – and converted it to a cotton factory. He also erected a carpenter’s shop, blacksmith, public school, and rebuilt the Richards-era church. He also moved into the Richards’ mansion as it’s last permanent resident. Under Raleigh’s ownership, Atsion was again a success. The cotton factory was a moneymaker and the promise of steady employment brought people back to the area. 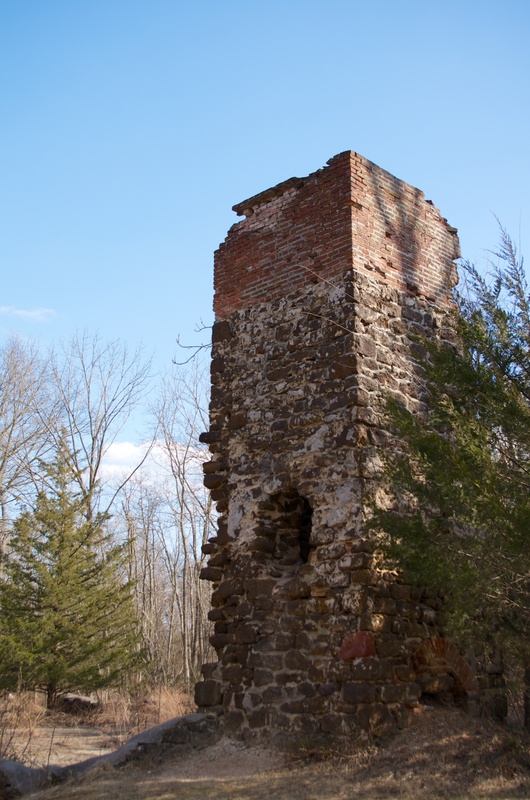 By 1882 Atsion boasted over 300 residents – nearly as many as when the iron furnace was in operation. Public School Number 94, built by Raleigh in 1872. It was rebuilt in 1916 and has fallen into ruin today. This newfound prosperity did not last. Raleigh died on January 10, 1882 and ownership passed to his heir, who had a different vision for the town. They formed the Raleigh Land Improvement Company and planned to rename the community “Raleigh.” They offered lots for sale for $25 an acre, but there were few takers. The houses that stand near the intersection of Route 206 and Atsion Road are the only remnants of this real estate venture. Within a year the cotton factory closed and residents moved away. 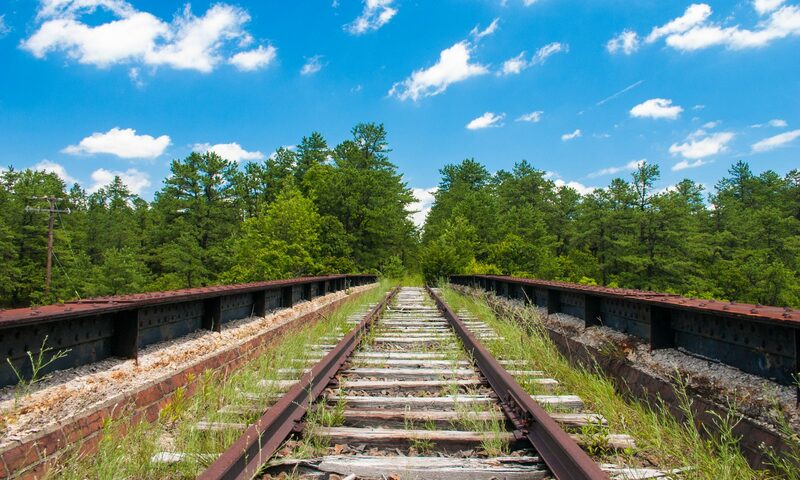 Reverting back to a ghost town, Atsion was mostly unoccupied until Joseph Wharton bought it in 1892. Wharton purchased large tracts of land as part of a plan to bring fresh water from the lakes and streams of the Pine Barrens to Philadelphia. When the New Jersey Legislature caught wind of this plan and passed legislation banning the export of water from the state, Wharton turned his attention to agriculture. He built a number of large cranberry bogs near Atsion and entrusted the management of the town to Andrew Etheridge of Batsto. Wharton did not invest much money in the maintenance of the buildings at Atsion. To him, the Richards’ mansion was superfluous; he was living in the newly renovated mansion at Batsto and had no desire to modernize a second expensive house. He put it to use as a storehouse and erected a large concrete barn nearby. The cotton factory was converted to a packing house for the his cranberry bogs. 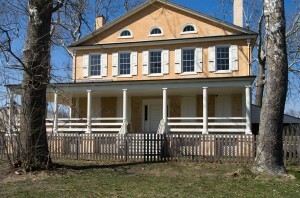 The Richards’ mansion after the 2009 restoration. Wharton died in 1909 but his estate still carried on with the management of his properties. In 1954 the State of New Jersey purchased the Atsion tract along with much of Wharton’s other holdings in the Pine Barrens. One of the first things the state did was a quick exterior restoration on the long neglected Richards’ mansion. Another was to build a recreational facility on the southern shore of Atsion lake. The stewardship of Atsion under the State of New Jersey has been somewhat controversial. A number of railroad-era buildings near the cotton factory were bulldozed after the state gained ownership. The school, converted into a private residence in 1922, fell into disrepair after the residents were forced to leave. The final ignominy happened in 1977 when the cotton mill building was destroyed in a fire. While officially labeled as arson, there are many who feel that the state was complicit in letting the unsafe and tumbledown building burn down. 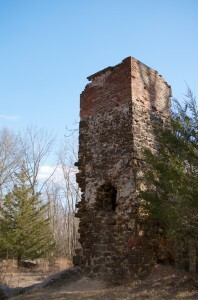 This chimney is all that remains of the Fleming paper mill / Raleigh cotton factory / Wharton cranberry packing house. Recently, things seem to be turning around. In 2001 a new roof was put on the long empty schoolhouse. Between 2008-2009 the Atsion Mansion was carefully restored after years of neglect at a cost of over one million dollars. The porch on the north side of the mansion was rebuilt, cleverly hiding a handicap access ramp. The interior walls were patched and repainted, with each room having a square or two of wall unrestored so that visitors could see the original state of the plaster and woodwork prior to the restoration. Long shuttered to the public, tours are now held allowing people to view the interior of the impressive old house. For over two centuries, Atsion has found success and suffered decline. Each time the town bounces back and has a revival. 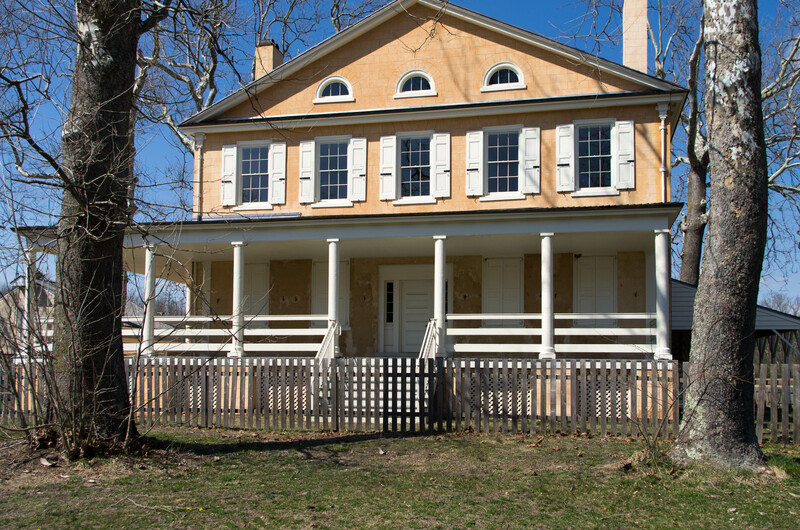 With the newly restored mansion as a centerpiece it’s likely that the village will continue to grow in popularity and remain for future generations to enjoy. Atsion: A Town of Four Faces by Sarah W.R. Ewing. Batsto Citizens Committee, 1979. Ploughs and Politics: Charles Read of New Jersey & His Notes on Agriculture – 1715-1744 by Carl Raymond Woodward. Rutgers University Press, 1941. Iron in the Pines by Arthur Pierce. Rutgers University Press, 1957. Family Empire in Jersey Iron: The Richards Enterprises in the Pine Barrens by Arthur Pierce. Rutgers University Press, 1964. Heart of the Pines: Ghostly Voices of the Pine Barrens by John Pearce. Batsto Citizens Committee, 2000. Many thanks to Jerseyman and Terry Schmidt for their invaluable assistance in this article series.